G31DDC & UserlistBrowser. Well done. 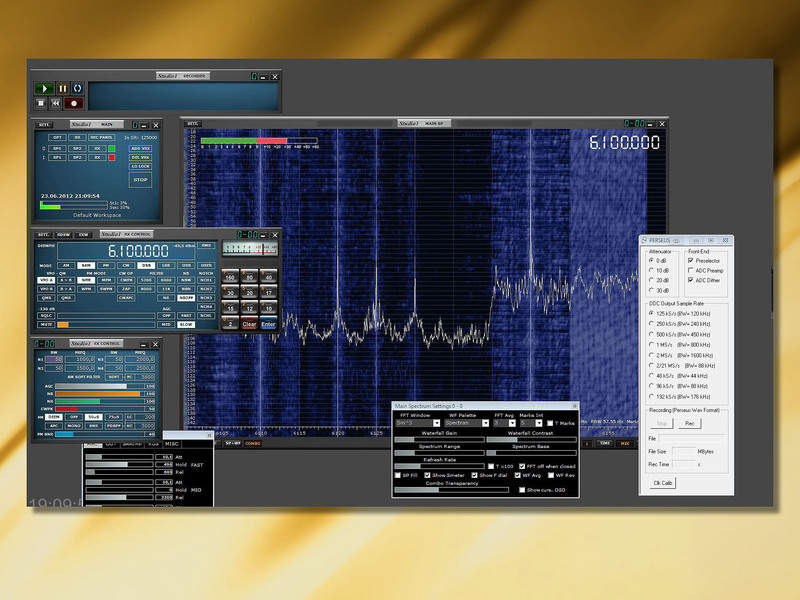 CSVUserlistBrowser by DF8RY is a great application interfacing with Winradio Excalibur® receivers. It handles CSV userlists from the http://www.fmscan.org website and database files from Nagoya DXer circle, Eike Bierwirth (EIBI) and the HFCC organisation. 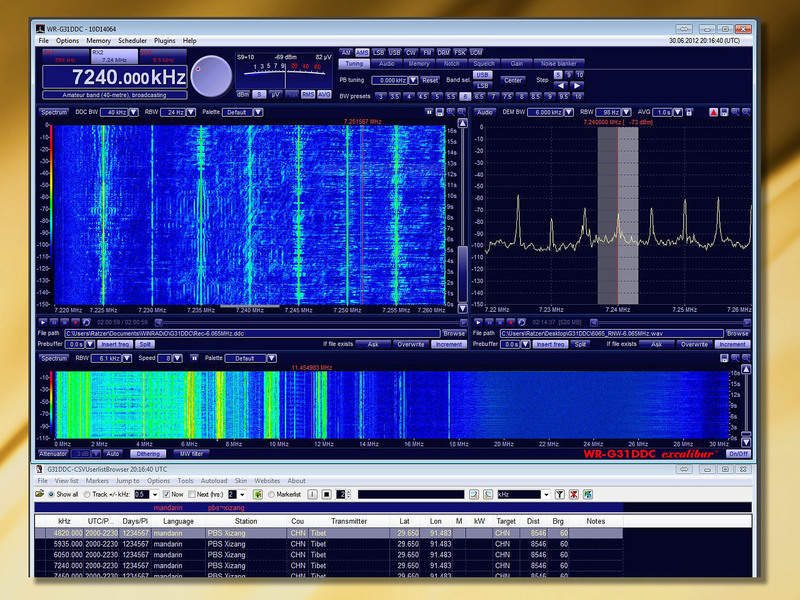 It tunes the receiver and shows actual broadcasts on a frequency the Winradio receiver is tuned to. Very first view. Studio1 installed. 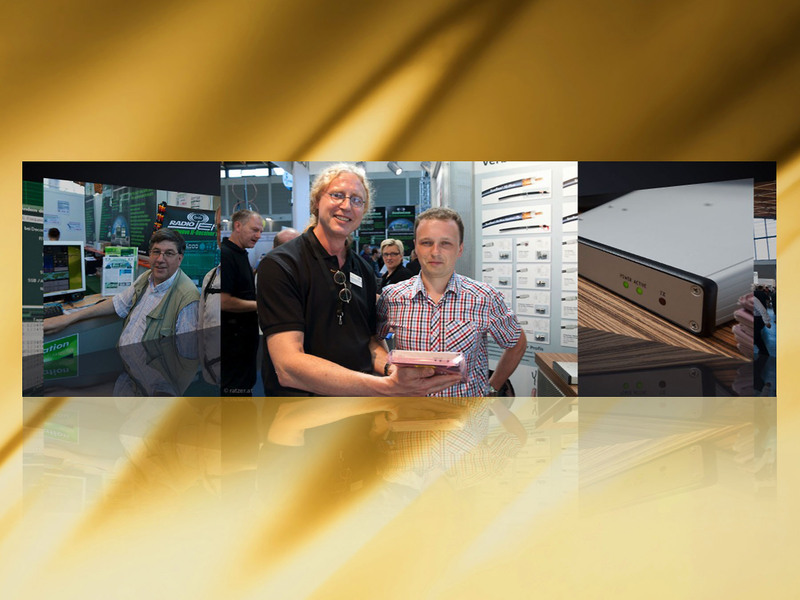 My little tour in pictures of this weekend’s Ham Radio 2012 in Friedrichshafen is now attached to my website: http://www.ratzer.at/ Enjoy! 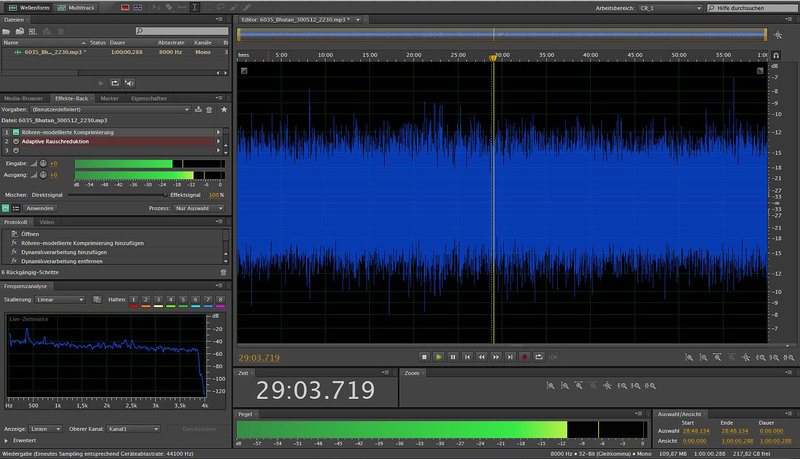 New audio specialist on board: Adobe Audition CS6.